A complementary exhibition to "Contemporary Girona: status as a capital city", which is on show at the Museum of the History of Girona. The exhibition reviews the historical, political, social and cultural development of the city during the last two hundred years. It examines from different points of view all types of transformations which have led Girona to become a capital city in different senses and points out aspects related to Girona as both axis and nucleus of a territory that has been forged during the 19th and 20th century. The exhibition at the Museum of Jewish History presents a fairly unknown and exceptional period and historical facts, which show the city and its role within the context of the Second World War. While Spain and the greater part of Catalonia had remained remote, for several reasons, of the events taking place in a Europe subjected to the horrors of Nazism, Girona had been a place where many persons escaping from Hitler were passing through, took refuge or were imprisoned. 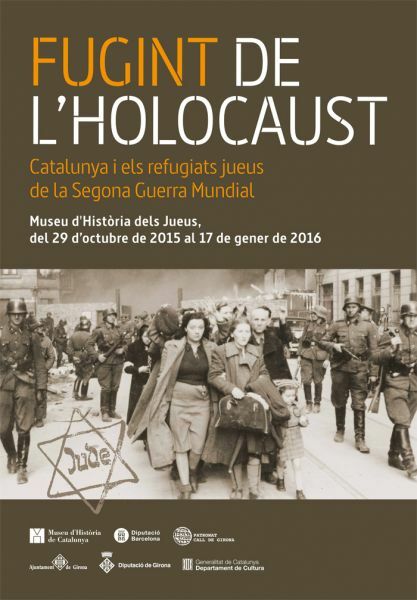 The exhibition, is a production of the Museum of the History of Catalonia and the Provincial Government of Barcelona. In Girona, it features an interactive data bank which contains the names and history of 1.000 persons who had crossed the border of Girona secretly between 1941 and 1943.